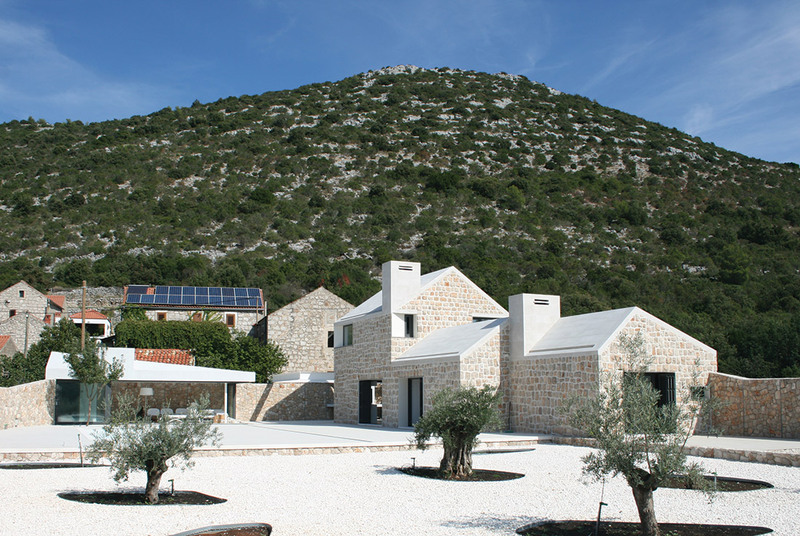 Country house is located in a very small and secluded village on the Pelješac peninsula. 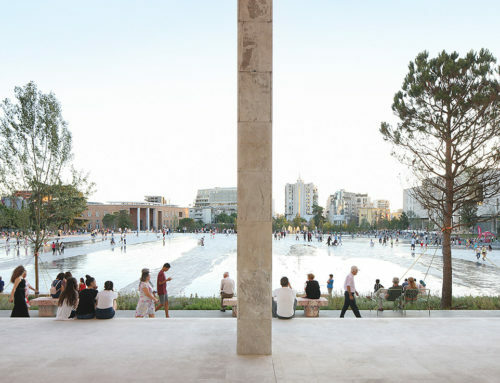 The ruinous and abandoned agrarian and housing ensemble is transformed into a place of leisure and relaxation. The hierarchy of the previous object’s programmatic disposition is eliminated through an extensive reconstruction, while the characteristic composition of the three existing volumes is preserved. New structures are added, and with the surrounding wall, they form a small agglomerate. 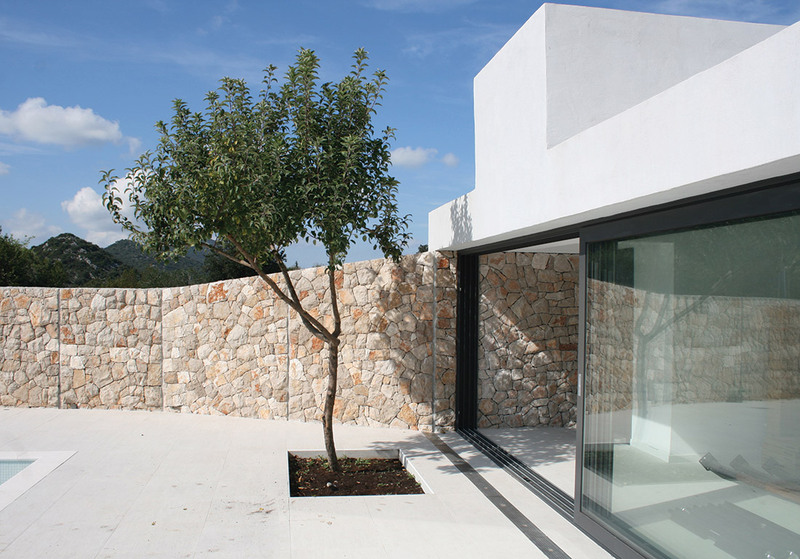 Emerged assembly evokes the morphological pattern of the Dalmatian rural places in the sense of scale, proportion and juxtapositioning, especially so in terms of newly formed interspace with different characteristics and atmospheres. The stonewall fence is the primary spatial and constituent element of the complex. 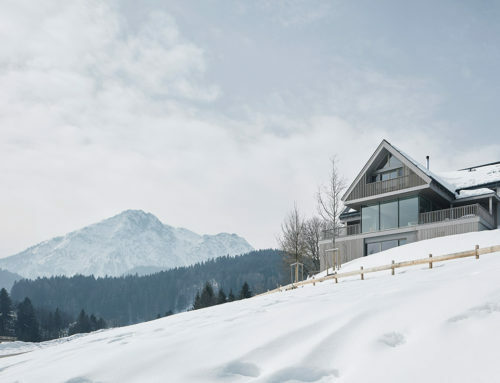 It assumes a twofold role: it defines the cultivated space and separates it from the landscape, while simultaneously linking the building elements and the various spatial sequences into a self-contained whole. The rhythmic sequence of the multi-voluminous object is complemented by structures of Mediterranean origin (pergola, outdoor fireplace, garden pavilion, entrance court), thus generating a spatial frame from converging programmatic and ambiance elements. 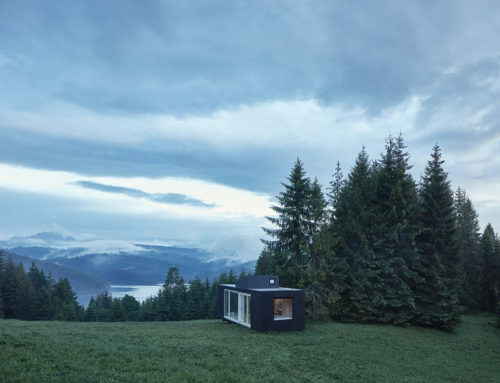 Common to all the outdoor spaces is an ambivalence expressed by the sense of introversion and protection with simultaneous openness provided by deep and wide views. 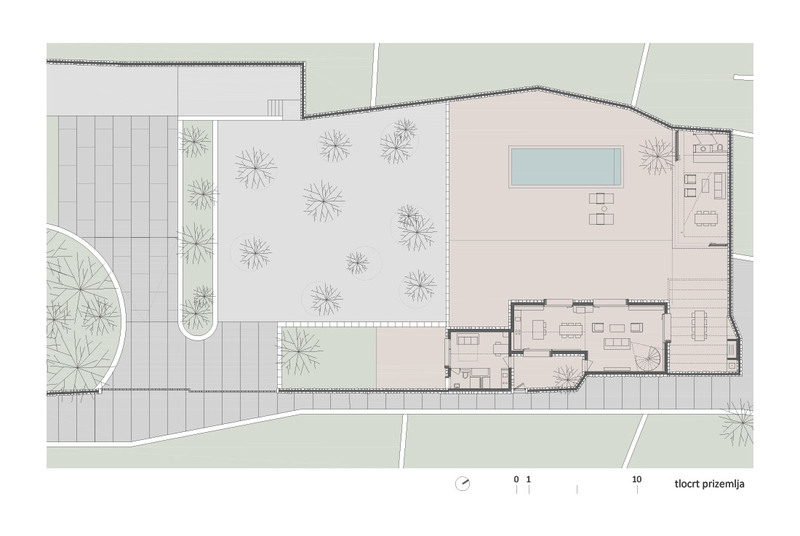 The project presents a research into contemporary interpretation of historical summer villa typology, carefully interpolating new structures into the existing built environment and natural landscape.